The main applications of my research so far have been in environmental monitoring by robots that autonomously operate outdoors and collect useful data for environmental scientists. In these outdoor domains human-robot collaboration, learning from a few demonstrations, and robust navigation in 3D are critical. I have also worked on vision-based simultaneous mapping, localization, and navigation for ground, aerial, and underwater robots. 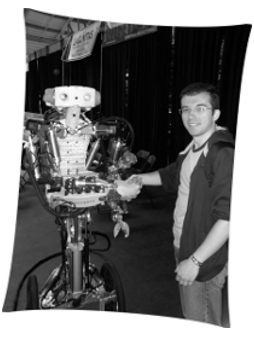 I was a member of the McGill Mobile Robotics Lab and the NSERC Canadian Field Robotics Network. Florian Shkurti and Gregory Dudek. In preparation.